Jazz pop meets smooth jazz with light and memorable melodies. Brian O’Neal can be characterized simply as a musical architect. Conveying melodies that captivate the heart, soul and now with the recent release of his sophomore CD titled modestly “Daisy” he enthralls your rhythm and feet as well, with foot tapping, hand-clapping, jazzmatic grooves along side with alluring, sooth sounds that keep your mind afloat to breathtaking possibilities. You haven’t engaged in musical solace until you’ve pick up a copy of Brian O’Neal’s “Daisy.” It’s a timeless collection of harmonious bliss that you certainly do not want to miss. I knew heard his music before. And out of the blue I started hearing more songs after joining his Myspace page. Finally broke down and purchased Daisy and my husband and I love it. This beautiful CD is a personal tribute to Brian's Grandmother, Daisy. Every song will take you to a new and different place. Relaxing, jazzy, personal.. Each song gives you a peek in to the creative mind of a gifted and extremly talented artist. I highly recommend this CD to anyone who loves Jazz! this is so awesome! I listened to him off of myspace page that Brian has. Luv it!!!! I bought the cd after becoming familiar with Brian's music via his MySpace page. The cd is INCREDIBLE! It lives in my cd player, unless I take it out to play in the car, and every track is one that you'll enjoy. No need to skip tracks. This man is definitely one of smooth jazz' best kept secrets. I hope the secret gets out- people will ENJOY his music. He is a true piano man! Beautiful CD both in conception and substance. Both relaxing and with hauntingly beautiful beat. I truly enjoyed each cut. The DAISY CD is a dynamic deliverance of musical excellence. Impressive! 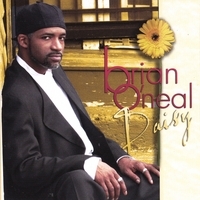 Beautiful music,i had never heard of Brian O'neal until i ran across him on myspace music.Then i heard the opening to Mesmerized and i was hooked. A very gifted musician whose music is uplifting with a smooth kind of healing atmosphere to the sound.I'm ready for the next project from Brian. This CD is a nice mix of live and synth work. Fine musical elements throughout give Daisy a relaxing, cozy vibe. Nice Job! Brian O'neal has what it takes to make a very well balanced collection of hits that grabs you the minute you hear them. This is true music heaven with relaxing and up beat sounds that's extremely addicting. A must have CD for the real music lover! Thanks for this awesome collection.